THEY ARE POOR BECAUSE THEY ARE BLIND. Help us to break this cycle of poverty and blindness. OF SEEING THE WORLD AROUND THEM. Create a miracle by providing the gift of sight. It’s amazing what a small contribution can achieve. CAN HAVE A LIFE-CHANGING IMPACT. 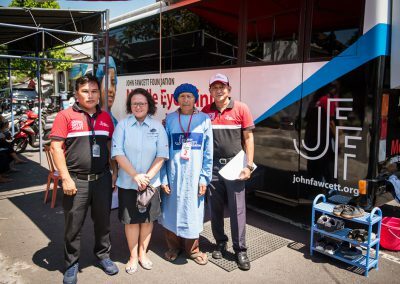 The John Fawcett Foundation (JFF) is a humanitarian not-for-profit organisation which assists needy people in Indonesia, particularly in the field of sight restoration and blindness prevention. It offers its assistance to people in the lower socio-economic group free of charge and without religious, political or ethnic consideration. 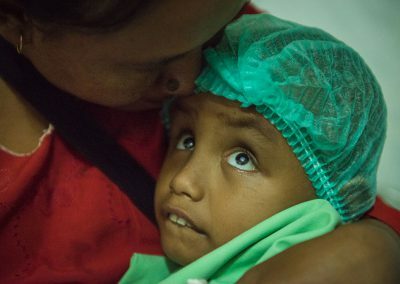 JFF’s humanitarian projects are based in Bali, Indonesia, and include Sight Restoration and Blindness Prevention, Children’s Corrective Surgery, Prosthetic Eyes and Technology Transfer. The programs target people who are economically disadvantaged and all services are provided free of charge. 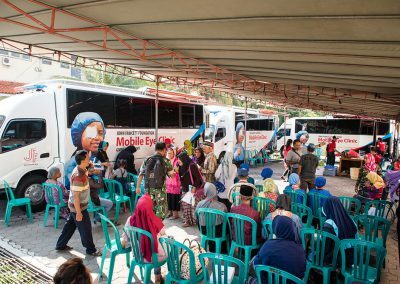 The original mobile eye clinic was a secondhand school bus fitted out in Perth, Western Australia, and air-freighted to Bali by the Australian Air Force. 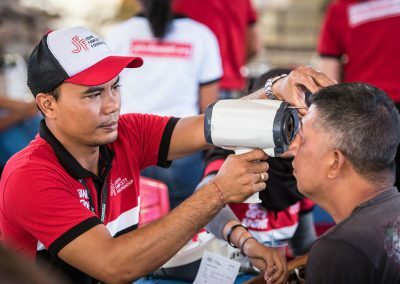 The Foundation has come a long way since then, and the current mobile clinics are sophisticated operating units with plenty of space for patients and the operating team, with a separate section for patients being prepared for surgery. a huge effort. Just a willingness to help.